Oregon Adaptive Climbing welcomes you to participate at one of our upcoming events! We welcome participants with all types of physical and cognitive disabilities. 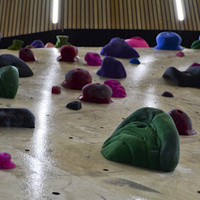 We can accommodate those seeking their first rock climbing experience all the way to seasoned pros! No experience is necessary. Yes! We generally want two volunteers for every participant. All help is appreciated, no level of rock climbing experience or knowledge is required. Look for clinic dates/ registration coming soon to the SRC website. Contact Kristin Gloystein at kgloyst2@uoregon.edu for additional questions or information.